Against the advise of doctors and common sense alike, I pushed away regret and charted course for a fourteen day tour of Aruba, Cartagena, Columbia, Colon, Columbia, Panama Canal, Limón, Costa Rica and onward to Grand Cayman before heading stateside. I packed lightly. Any clothing item packed had to be washed and hand dried. I also rolled an all-purpose sports coat into my back pack, couple packs of wash and wear undergarments, two wash and wear shirts and one set of blue-jeans. Technology wise, I could have chosen from a number cell phones. Many might have taken an iPhone or iPad, but I carefully debated weight. I have an iPhone 6, IPhone 6s Plus, IPad Air 2, iPad Mini 4, Galaxy Note 5 and an unlocked HTC 10. Strangely enough, with all the Apple Travel app’s available, I settled for the iPad Mini and the HTC 10. The HTC was a great choice. So, I ditched my carrier locked Apple iPhone 6s Plus, took my clean, nick free HTC 10, inserted into the HTC Ice cover and off we went. Fourteen days. There were specific advantages. The HTC 10 weighed roughly 6 ounces, had a wonderful screen size of 5.2 inches, with a 565 pixel density, was recently updated to Android 7, had excellent battery life and quick charger. The HTC also had additional storage capability. Not that I store music on an external storage card, I do. But I copied my passport, driver’s license, insurance information, medical prescriptions information and other key documents. This feature came in handy when completing “Customs Information” for countries visited. Instead of having to drag out my passport, I simply pulled the information from the HTC’s external storage card and completed the required forms. As for photographs, I will admit I am no professional photographer. I am a “point and shoot guy.” Accordingly, I took no camera. Every photograph taken was performed on my HTC 10. I have to admit, the photographs were outstanding. Only once did I use photo editing options to alter a picture. Every shot was flawless, even when moving. When HTC changed the dual speaker layout, I was quite disappointed. Yet, when under the stars in Panama I easily listen to Frank Sinatra, Harry Chapin, Andrea Brachfeld, Vivaldi or Billy Joel. The sounds were wonderful. Additionally, there were times when I connected a Powerbeats 2 to drown out the busy surroundings. Music sound quality never diminished. The most impressive feature I loved about the HTC was its ability to connect other carriers or WiFi. Unlike my Tavel partner who used an AT&T iPhone, my HTC detected and connected to other carriers. When this occurred, a message from my carrier came front-screen “Text messages, email and data is free. Phone calls are 20 cents a minute.” I loved it. My companion’s iPhone rarely detected or connected to carriers outside the network. This may be due to the setup of the phone, or my friend’s carrier plan, but the HTC 10 connected perfectly. Google Maps and location detection was my only sore point. Unfortunately, I did not download city-t0-city maps prior to embarking. Thus, unless there was solid carrier connection, Google Maps and location tracking often failed. Other things noticed included that neither Android Pay nor Apple Pay were wholely effective outside the US. The US Customs App of IOS was ineffective outside the US and a US Customs App for Android is non-existence. Lastly, Airport check-in when outside the US, Canada and key cities in Mexico was messy. We found one could check-in via my HTC, but still had to obtain physical boarding passes as wireless boarding passes were rarely received outside of major cities. 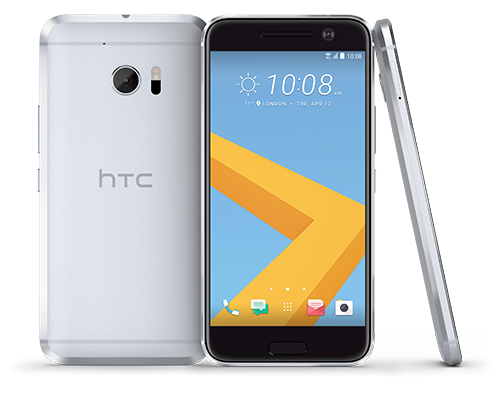 Overall, I fell in love with the HTC 10 and now keep it as my primary cell phone. And after all that travel and hiking, the HTC remains flawless. At a rally in Wisconsin, Donald J. Trump stood in front of a line of Christmas trees and repeated a campaign-trail staple. Mr. Bill O’Reilly returned to the War on Christmas this year, but with a triumphant tone. There is no evidence on any type of organized war on Christmas, it’s simply personal ignorance used as a “device” to ensure bias and innuendo remain artfully sculpted by equally bias. Christmas war allies noted the 2016 naughty list included Barnes & Noble, Best Buy and Victoria’s Secret. 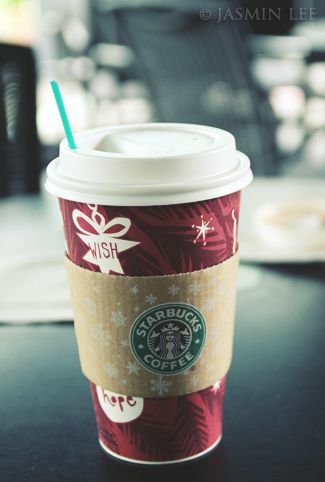 Starbucks came under fire for seasonal cup designs that emphasized social harmony over Christmas greetings. Yet, not one corner yielded singing in the streets. There were no pictures of home bound sailors kissing women in New York’s Times Square. There were no pictures of Christmas War soldiers raising the U.S. flag, like that of Imo Jima. Did the Christmas war even have a flag? Sorry, I digress. I FaceTime’d a friend in Finland. Surely, Finland will be celebrating? Surely? Right? “What the f…?” He said. “What? What war? Call me when you’re sober” Then I reached out to another friend in Norway. Christmas War? Nope. Nada. No celebrations. Nothing. Finally, I called the big man at the North Pole. Yes! As in the North Pole, Alaska (actually south of Fairbanks, AL). No war there either. I perused the BBC, Yahoo, MSN, MSNBC and Associated Press (AP). No war. No war memorials to the lost and fallen, no one to lay an annual Christmas reef on the Tomb of The Unknown Christmas War Soldier Memorial and no evidence of any Christmas War veterans waiting in line at the Veterans Administration hoping to get aid for Christmas War PTSD. Seriously, the only war won was where sensible men and women allowed ignorance an upper hand. As a Buddhist, I’ll take the harmony Starbucks offers. We need more of that. In September 2016, Trump vowed to “… lift restrictions on American energy and allow this wealth to pour into our communities, including right here in the state of Pennsylvania, which we love.” Yet there is no way he’ll be able to tax or spend his way to a prosperous manufacturing community. Trump also promised a resurrection of American steel. Unbeknown to the average worker, Trump has a problem. Returning key blue-collar jobs from China was probably just another campaign device. To be successful, Trump would have to return approximately 5 million jobs. To many outsourced workers, factory jobs represent the decline of America. But that decline has been occurring for twenty years. One person cannot bring back twenty years of downsizing. The problem is that the vast majority of the crap you buy is already made in America. We make more stuff than what was ever produced 20 – 30 years ago. The problem is that American factories no longer need all those factory workers to make the products we buy. It doesn’t take it doesn’t take nearly as many workers to make steel, or a can of vegetables or computer chips. Even if we manufactured everything here in America, America itself would not require 19 million jobs. There are other problems specific to the steel industry. According to a Wall Street Journal article, the problem isn’t just that China’s economy is cooling off. It’s also that its state-owned steel mills, which produce as much steel as the rest of the world combined, haven’t slowed down to match demand. Rather, China’s mills have stayed in high gear, which means the rest of the world has been flooded with cheap Chinese steel. Accordingly, U.S. Steel has been on a pink slip spree, including idling plants and cutting staff as part of an “ongoing adjustment” to accommodate for lower demand. To offset lower demand, no new blast furnace steel mills have been built in decades and U.S. steel companies have recently begun to rebuild individual old furnaces at existing mills. Remaining factories are converting to electric arc furnaces that make the company more “flexible” and “efficient.” That, ladies and gentlemen, is code for lower costs and fewer man-hours – meaning less people are required to perform the work. The problem is not ours alone. As global manufacturing output increased, the number of factory workers declined almost everywhere, even in manufacturing powerhouses like Japan, Germany and, yes, China. With the 2016 U.S. Presidential election over, the world continues to reassess how the global chess board has changed. Players we thought were leaders have been cast aside. Clinton, Sanders, Romney and a host of others are yesterday’s news. In a global economic club, as promised by a Trump administration, leaders from Goldman Sachs would not be worthy of polishing the White House door knobs. Yet seven weeks past the election, the Trump Cabinet is shaping to be nothing more than a Goldman white-boy reunion club. Ah the more we promise, the more difficult it becomes to generate any traction of improvement. Let’s quickly review, Trump claimed the alter of leadership based upon lies, bigotry and hatred. He promised coal miners and the jobless jobs. He promised to hold China in judgement, to reclaim the golden nectar of steel’s production benefits. And for the Goldman Sachs brethren, Trump claimed Goldman owned everybody, including Clinton, Cruz, and others. Goldman leaders were never prosecuted for the housing market crash, the predatory lending, foreclosures and other unethical dealings. Yet, post election, CNN interviewed a 65 year-old former steel worker who lost his job to China. Having little to offer this, he was pissed for receiving monthly Social Security. He was looking for a job. He voted for Trump hoping Trump would bring back those jobs. Truth be told, Trump used that hatred to get elected. Those jobs are not returning and the Goldman Sachs reunion club will offer you nothing. I say this for two reasons. The infrastructure that built American Steel has decayed for decades. Even if steel outsourcing suddenly reversed and Allentown, PA steel manufacturing reignited tomorrow, actual steel foundries would have to be rebuilt. That would take a decade. Secondly, nothing against coal and steel workers, but you’re older. Arthritis, Spinal Stenosis, knee problems, hand problems and the mental sharpness to be trained into a new, more technological position left many of those workers in the past. Everyone wants change. Unfortunately, the Goldman boys live for you. Never did. They live for the deal. Just as in the past, stock entitlements go only to the wealthy. 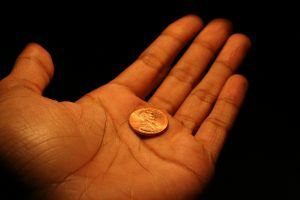 The only change Trump offers the remaining 90% is chump change.